2013 does not seem to be the year where I have a lot of blogging to do. My business is basically working on building up inventory, so duplicates of the same models for upcoming orders from my online stores, shops and any expos/craft fairs that I do. It's rare nowadays that I do anything new. 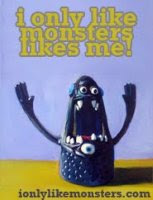 However, I am trying to change up the colour combinations of my monsters to make them different. 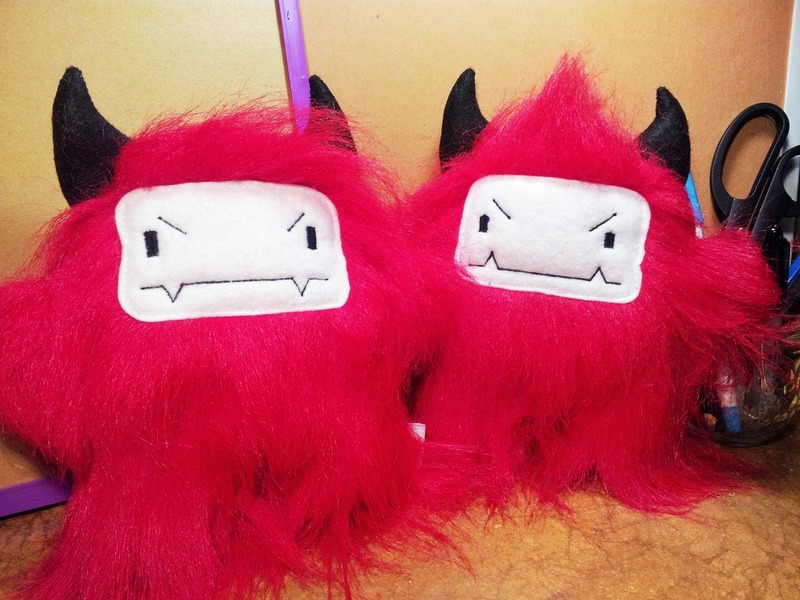 But today I have 2 new stuffed 'devil' monsters and some regulars I've changed a bit. 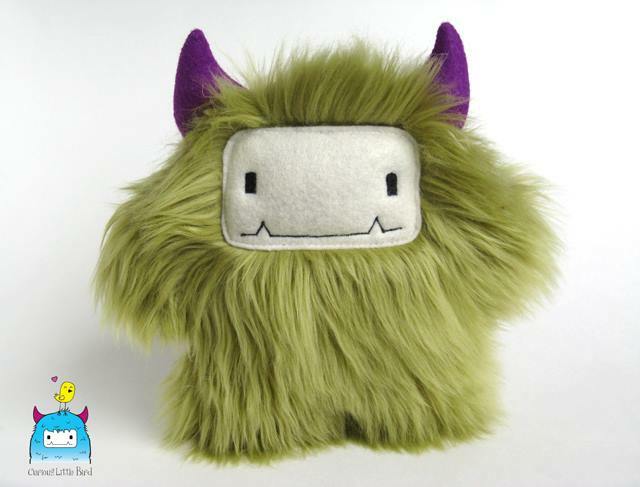 Gordon was the first monster, and I decided to play around with different horn colours. 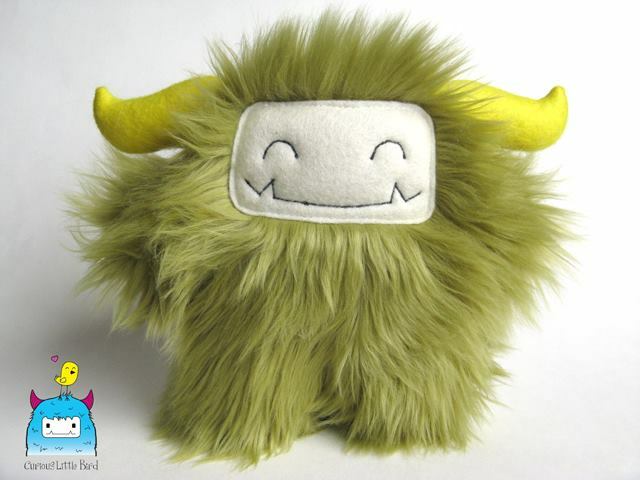 Lemon yellow horns and olive green fur is definitely a nice change. 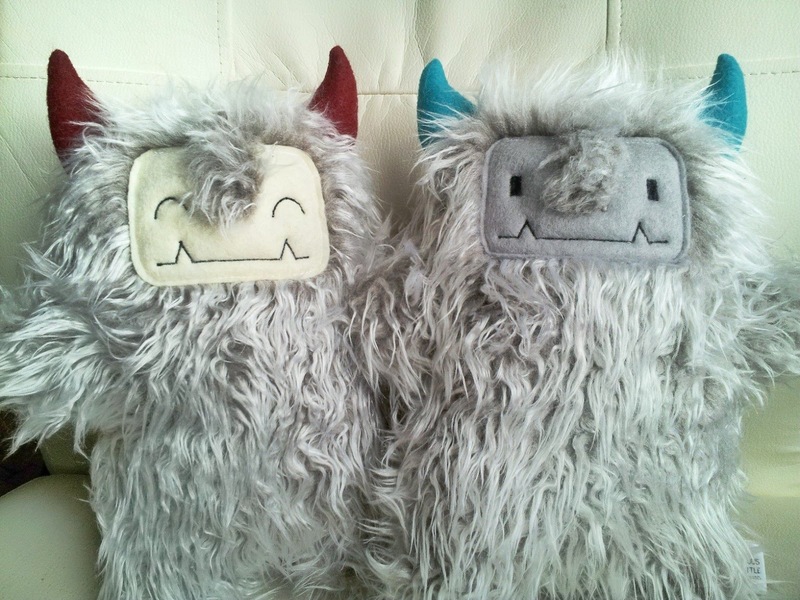 Same fur but with pointy plum horns.